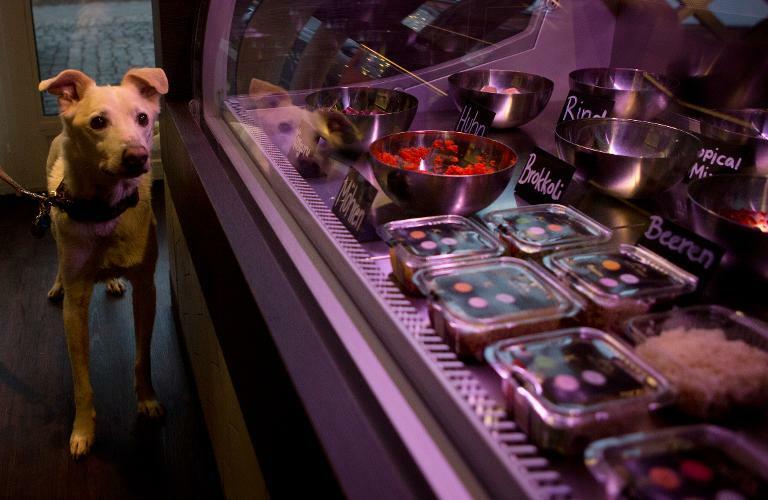 Does Berlin Need A Dog Restaurant? Of Course It Does! “Business owner David Spanier, 31, had the idea for the doggy deli after finding his own canine friend could not digest pet food from supermarkets. It sounds like a gimmick but I can see a genuine benefit. There is evidence that fresh cooked food may be better for dogs then canned products. Up to now the main barrier to serving dogs fresh cooked food (and the main advantage of the processed brands) is the convenience of not having to cook for your dog. This service solves the problem, as well as offering nutritionally balanced food. Now let’s hope other places around the world catch on to this idea. That’s too cool! I would take my pup there.